These are a bead inside of a bead with the outside being sort of pumpkin shaped and groves. Our birds have not been able to destroy them yet. We're using them in between the flower petals or as sort of as focal bead on their toys. If you have a very destructive bead (like our Greater Sulfur Crested, Sydney), they are a long lasting bead ... just pick them up and restring! 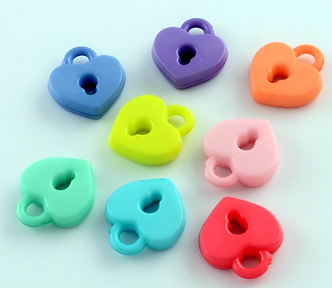 You can "nest" these beads inside the petal bead for even more options!